Does Swearing Have A Place In Blog Posts? The other day on Facebook, there was much discussion about the aged chestnut that is the “should bloggers write for free” question. One response in particular caught my eye. It was basically a wall of expletives. Brands and PRs could ‘do one’, the blogger said (completely in phrases beginning with F). I have to say that whenever I come across swear words in blog posts, I find myself clicking away pretty quickly. This is not because I am a delicate flower. It’s more because I feel vaguely let down. There are millions of fantastic words in the English language. Millions. As bloggers, shouldn’t we be wordsmiths? Shouldn’t we use language to paint amazing verbal pictures? Don’t we have standards to uphold (or even create)? Some of the sweary posts I have read have been written by parenting bloggers. Is A Post Full Of Expletives Really Going To Engage A Brand? That must go down very well with brands and PRs seeking to engage with a family audience. I’m sure the “it’s our blog and we write what we like” brigade will be sticking a pin in my effigy but, as they used to say in school, “it’s not big and it’s not clever”. There is a type of ‘bitter blogger’ who specialises in venting spleen in a wry, vaguely comedic way, using language that would make a trucker blush. And it’s funny for a while. Among the ascerbic comments, there are usually a few kernels of truth, a few good take-away points. There’s another saying which comes to mind from the old music hall days – “they’re funny but they’re on too long”. Now swearing might be completely appropriate for your blogging niche. I can’t for the life of me think what that niche might be but if that’s what your audience enjoys then fine. But the question is, do you really know who’s reading you? As bloggers we rely on stats, social media likes and comments. These can paint a partial picture of what our readers think. Except that in many cases, blogs are read by other bloggers in a kind of “you scratch my back and I’ll scratch yours” way. I think, particularly if you are a parenting blogger, you should assume that you could be read by anyone of any age. And that’s where the swearing habit is risky if you want to build an engaged audience. It may be a stereotype but I think an older, more mature audience won’t welcome a blog post full of expletives. Listen, I fully understand the “mummy’s had a bad day, the kids are little sods and where’s the corkscrew” sentiment. But giving full verbal vent to your frustrations in purple prose makes you look a bit, well, out of control. 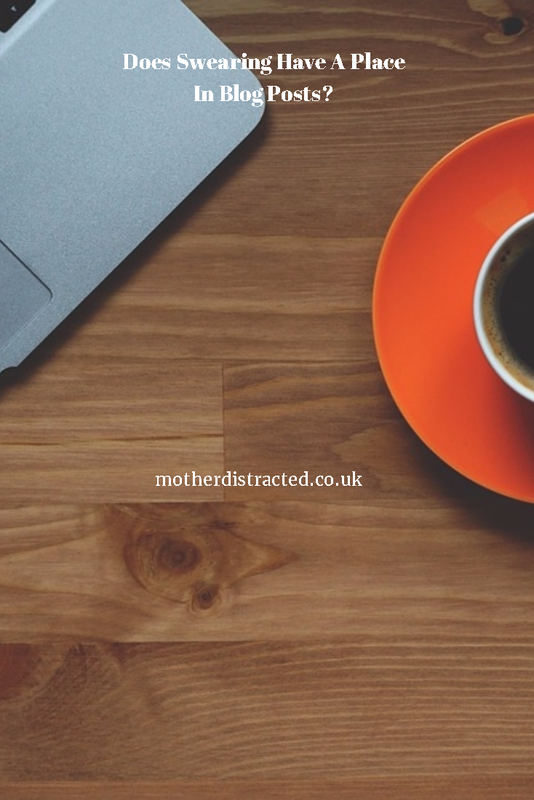 Have The Perfect Lifestyle Parenting Blogs Had Their Day? I read recently that there is a backlash against parent blogs which create a perfect lifestyle – you know the kind of thing – instagram pictures curated to the last pantone, cutesy shots of the family dancing through autumnal leaves and posts about how to make your home Martha Stewart worthy. Frankly I love these kind of posts. And I’m not sure that the antidote to these is the bitter, sweary mummy blog focusing on how awful it is to be blessed with children especially when they will insist on behaving like children. Still, the great appeal of blogging is that it is a platform for expression available to all. I’m not suggesting censorship. I am saying that blogging is a craft which deserves respect, and care, and consideration for the feelings of the reader, whoever they may be. And you won’t find any expletives in my posts. That much I will swear.